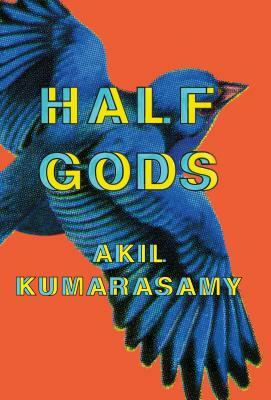 In this debut collection of interconnected stories, Akil Kumarasamy reminds you that we haven't crossed the borders, they crossed us. Her characters are of the exiled, displaced, and disappeared, finding refuge in each other's company. In the search for two brothers named after demigods from the Mahabharata, She weaves invisible threads that eventually create a family for all her birds. A native of New Jersey, Akil presents this book as an ode to the clandestines of the world, including her Tamil family, whose world survives through storytelling, humor, and hope. "This is the best thing ever in the world of books. It is so refreshing to hear a different voice, a unique perspective in the world of same same...an ability to see, observe, and navigate in a world rarely shown in the mainstream is truly an excellent skill which Akil definitely holds. To have this book on tour was gold!" —M.I.A.